Is relocation to Fort Greene your next step? First of all, it is a great choice especially if you have a young family. This Brooklyn neighborhood is the one which most families with young and school-age children decide to move to due to the possibilities it offers as well as many lovely parks and great schools. The area of Fort Greene is truly large even though it is not among the largest neighborhoods. However, with a little bit of help from the professional Fort Greene movers, going around this area and settling down in the new house will be quite an easy task. You will be in safe hands and soon learn what makes us one of the best movers in NYC. Moving for the first, or fifth time doesn’t make much change when it comes to hunting the best movers for your next relocation. One of the key features a local NYC moving company needs to have is reputability. Our Fort Greene movers are widely known for being reliable and a company which always carries out all the agreements we made with our customers. This is how we built our good reputation. And we tend to stick to it. The best part is that it comes naturally to us. We know that our reputation depends largely on the level of your satisfaction with the services provided. And that is why we always make sure to do the best for our customers. The experiences our former clients had with us speak enough about the fact that we are a company you can trust! You can take a look at them and see what you can expect from our moving crew. After your relocation is done, feel free to leave your own comment. It will help some other people make a decision easier. The fact that we are constantly striving for excellence in order to provide a pure quality of services we have in our assortment makes us the great choice. Even if you opt only for one service in our eyes you are as equally important as every other person who comes through our door, seeking professional help. We don’t make any difference between our clients. Therefore, you must know that we will always give the best of us to pull through days of relocation. And no matter how difficult some tasks might be, we never give up. We never leave job half-done. In our opinion, we believe this is important to know as it will give you more trust in us, and things we can offer you. In today’s world, you will come across many companies whose only aim is to earn money not really paying attention to the needs of their clients. Well, this is one of many reasons how our Fort Green moving company stands out from the majority of other moving companies Brooklyn offers. To us, our customers, their needs and requests are the ones which we prioritize. The first contact will be enough to convince you of our claims. Everything we agree will be stated in our contract. It binds us to complete all requests. We just wish you to draw your attention to this matter, as it is a very important one. When you start looking for a moving company, it is of extreme importance to notice the red flags that could reveal moving scams that some people have come across, unfortunately. As we are not such a company, you can be sure that we will compensate for all damages in case something unfavorable happens. This is how serious companies do business, and this is what you should be looking for. Just like in every other business, to become successful, you need to work for it. Our good results haven’t just been given to us. We properly worked for it and spend years perfecting our skills. We consider our path long and bumpy, but true. All our lessons are valuable to us. Our team of movers are always on a mission to show nothing but the quality. Before you decide to sign a contract with a moving company, check if they have all the papers which prove their identity. Our Fort Greene movers are completely licensed and insured. This is just one of the ways to show you that we are a company worth collaborating with. So far we hope you’ve gotten the idea of what kind of moving company we are. Everything that we are is aimed towards completing the obligations we have to you. We will always be there for you. Always available in case you need us. To us, it is really important to establish a good relationship with the customers. With open and honest conversation, we believe that the job is a lot easier. Knowing that you have a true partner who genuinely cares about your relocation will make you feel much more certain with our choice. Hence, you can completely relax now that you have complete trust in your moving partners. The point of hiring a Fort Greene moving company is to make relocation easier. That is only possible if that company possesses all the skills and knowledge. But these need to be of high quality and in accordance with what the company has promised you’ll get by signing the contract with us. What makes Fort Greene the ideal home? 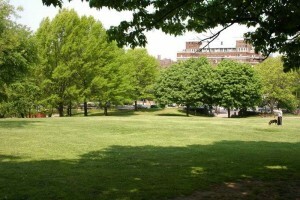 Park in Fort Greene – enjoy the outdoors and leave the relocation to Dumbo Moving and Storage NYC. Fort Greene is a northwest Brooklyn historic neighborhood just across from Lower Manhattan. Fort Greene preserved Italian style when it comes to architecture. Also, there are blocks of brownstones, three-line streets, a lot of examples of low-rise housing, brick row houses,…On the other hand, if you go west, you will see high-rises constantly emerging, which gives you the impression of cultural and economic diversity. The population is also diverse. Since the 19th century African-Americans have been an inseparable part of Fort Greene’s multiracial background. Friendly community vibe is what attracts people to move to Fort Greene. Although the rent prices are increasing, Dumbo movers are really busy in this area. 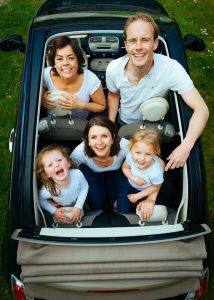 People are more likely to move here than to Manhattan in order to avoid constant rush and noise and to find some peaceful place for the whole family. 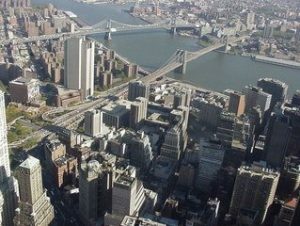 If moving to Fort Greene you should take precautions and hire reputable professional, if possible affordable movers NYC. Dumbo Moving and Storage was situated there for years and they have witnessed fast development and prosperity of the area. By contacting Dumbo movers, you are likely to obtain the Fort Greene moving and storage services at very competitive price. Your possessions will be taken care of professionally and transferred wherever you like. Experienced and reputable movers are at your disposal to provide you with the highest level of professional moving services and make the transition easier for you. Contact us today or get a free and instant moving estimate from Dumbo Moving and Storage NYC now!